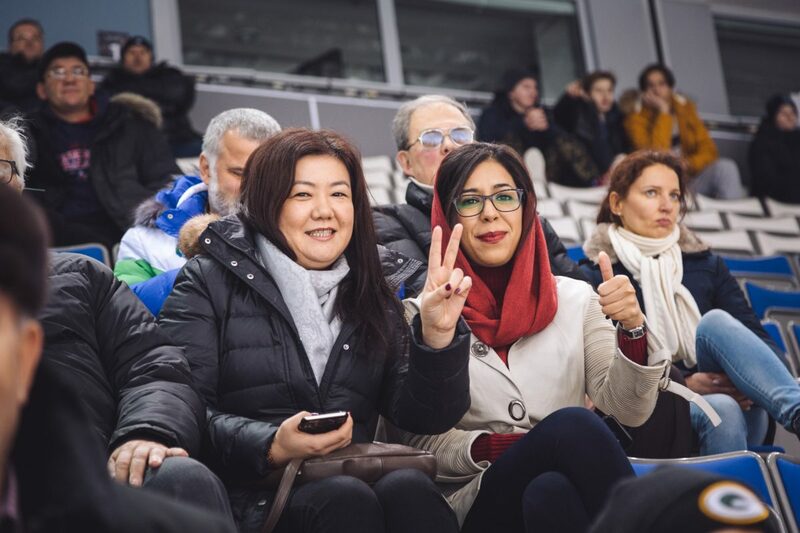 November 18 is the only rest day at the Women’s World Championship in Khanty-Mansiysk. Tournament participants, arbiters, members of the Appeals Committee and organizers got their first chance to digress from chess, relax and have fun. 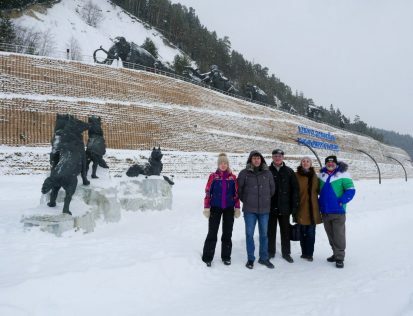 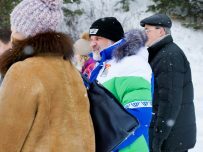 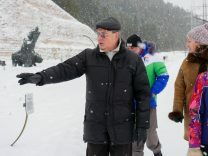 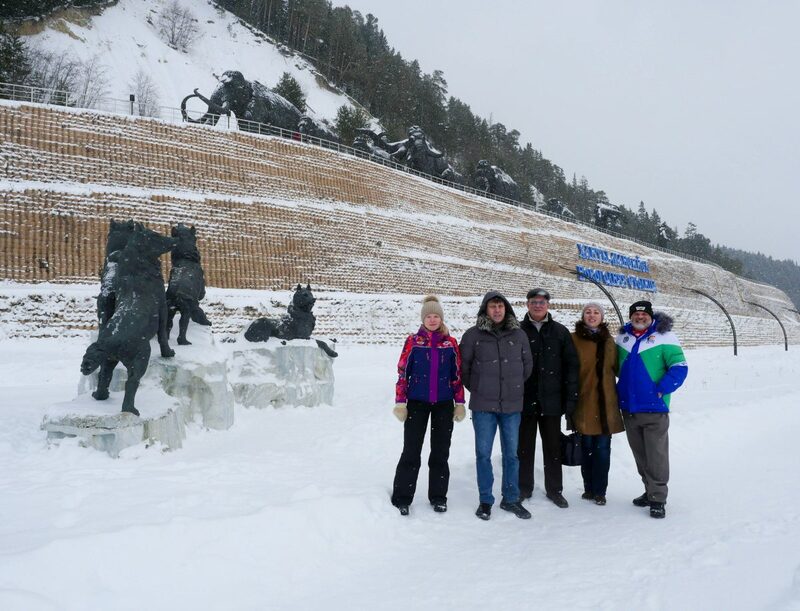 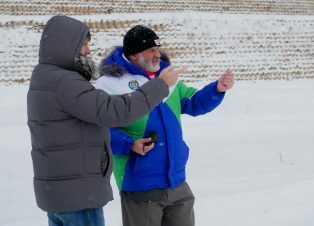 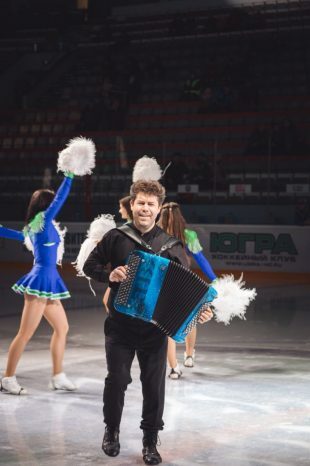 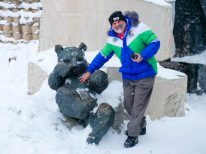 In the morning, the tournament officials took a sightseeing trip around Khanty-Mansiysk. 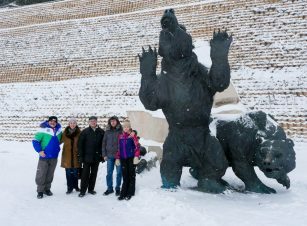 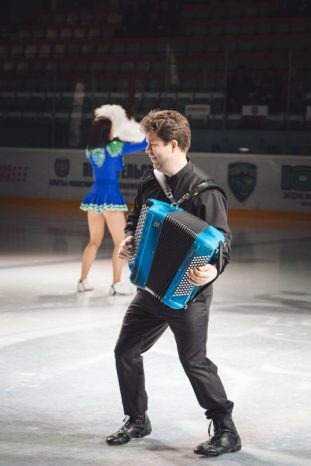 Although this city has hosted more than a dozen of major chess events, some of this year’s guests were not yet familiar with history, traditions, and sights of the Ugra capital. 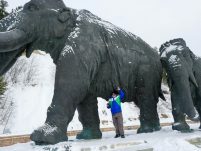 And, of course, a traditional photo shoot with the bronze mammoths, symbols of the city, was not forgotten as well. 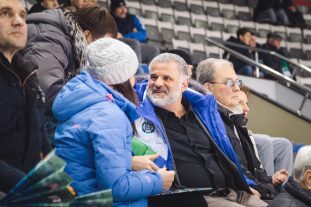 In late afternoon, the chess group came to watch hockey. 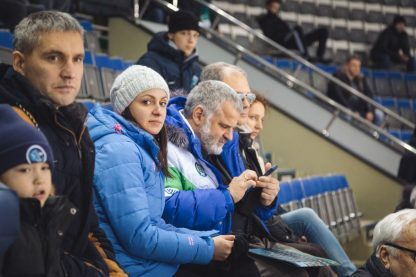 Not all of them were mere spectators. 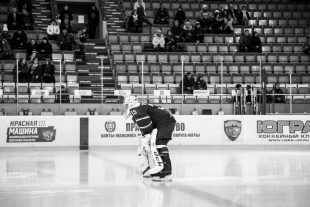 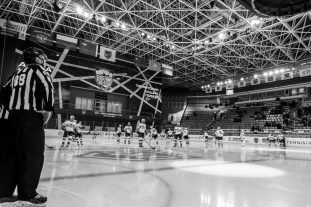 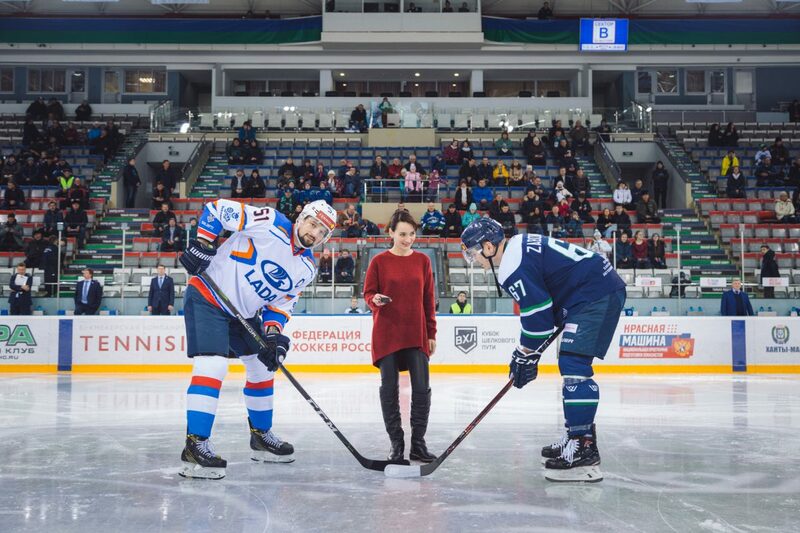 Kateryna Lagno, one of the two finalists of the World Championship, did the ceremonial first face-off for the Higher Hockey League game between Ugra (Khanty-Mansiysk) and Lada (Tolyatti). 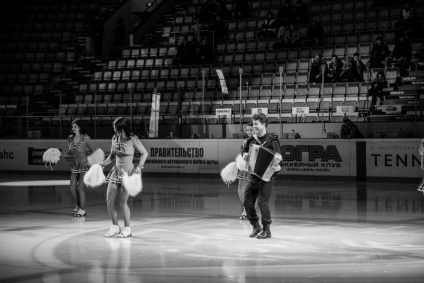 Katerina confessed she was very happy to do it. 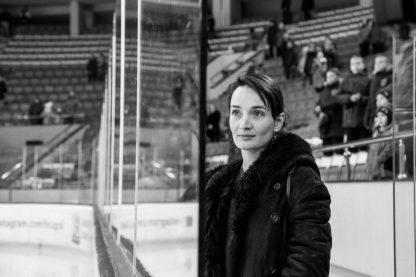 “I did it for the first time and really liked it. 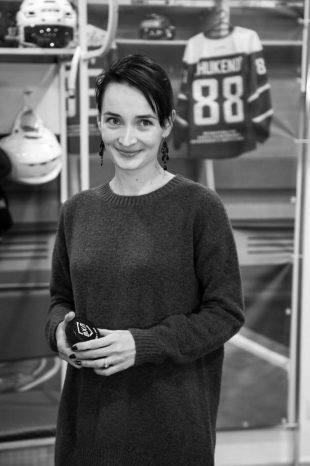 My eldest son plays hockey; I was happy to receive the puck as a gift, and I will give it to him.” Kateryna also said that she supports the same team as her son – CSKA Moscow. 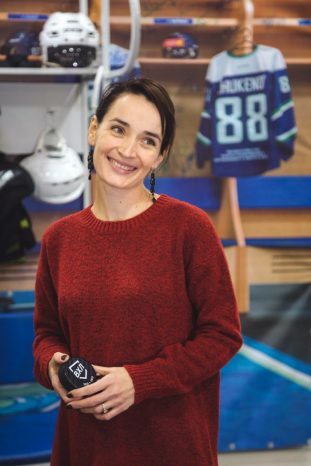 The first game of the final match between Kateryna Lagno (Russia) and the defending champion Ju Wenjun (China) will be played tomorrow.